The Bugatti Veyron has earned itself a name in car history as an undisputed classic, and these days special editions of the supercar are coming out like rabbits popping out of bunnies. 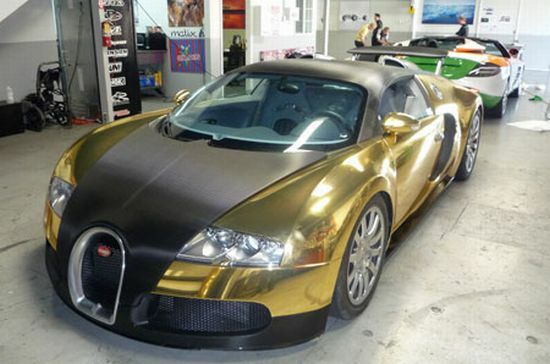 Lately, we spotted a Veyron in gold owned by someone in Kuwait, and now we have yet another gold version of the car, which is taking part in the Gumball Rally 2009. 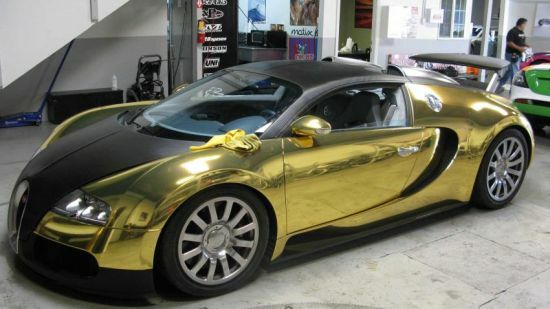 Pictured above is a gold Bugatti Veyron before Gumball stickers were put on it. The 11th Annual Gumball 3000 Rally (May 1-8, 2009) features a coast to coast road trip of 3000 miles, from Los Angeles to Miami. 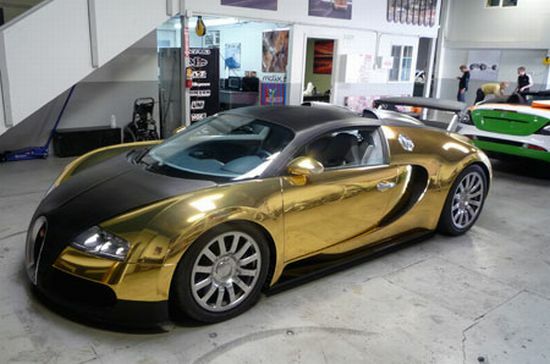 This Veyron has been wrapped by British decal specialists Raccoon. Roll over to see more shots of the golden beauty.